On Monday, February 23, 2015, the Pennsylvania Senate passed Senate Bill 166, which would greatly expand the ability for Pennsylvanians to have their criminal record expunged. The Senate passed the bill 49-0 and it now moves to a committee in the House of Representatives. Up until Monday, there had been no movement on the proposed law. Now, the senate has shown their unanimous support for this law that would allow for the expungement of most third- and second-degree misdemeanor convictions so long as the individual remained arrest-free for seven to ten years. Senator Stewart Greenleaf from Pennsylvania’s 12th Senatorial District proposed this bill. I recommend going to his homepage to leaving a message thanking him for this bold step. But, the fight to give Pennsylvanians who committed minor offenses in their youth is not over. Therefore, I also recommend you reach out to your local representative in the Pennsylvania House of Representatives to encourage them to vote in favor of this bill so it can be passed to Governor Wolf’s desk for signature. You were convicted of a summary offense and remained arrest-free for 5 years. Who needs an expungement when their over 70 or dead for three years? Nobody. How many employers or educational institutions care about a summary offense? Very few. So, basically, you can’t get any convictions expunged off of your record at a time when you really need it. I get calls every day from prospective clients who tell me about one mistake they made years ago and how that mistake has haunted them ever since. They are looking to have that mistake that turned into a criminal conviction expunged off of their record. They tell me how they’ve turned their lives around: They’re married, have kids, they’ve graduated from college and they’re trying to get a better job to provide for their families. But, a knuckle-head mistake made when they were 18 is standing in the way of their progress. They are totally reformed and rehabilitated and they are never going back to a life of crime. Despite all of that, I have to be the one to tell them they are not entitled to get their criminal record expunged…unless they’re 70 or have been dead for 3 years. I don’t get many calls from 70-year-olds seeking to have their criminal record expunged. I’ve never gotten a call from someone who has been dead for three years looking for an expungement. The new law would allow for expungement of convictions for third-degree or ungraded misdemeanors if the individual remained arrest-free for 7 years. In the case of a second-degree misdemeanor that was committed when the person was under 25 years old, the conviction could be expunged if arrest-free for 10 years. Any crime punishable by more than two years, which includes any first-degree misdemeanor or any felony would not be expugnable. Additionally, anyone convicted of four or more crimes punishable by one or more years, would not be eligible for expungement. In other words, if you have four or more convictions for any misdemeanors or felonies, you would not be entitled to relief under this law as a third-degree misdemeanor (the lowest level misdemeanor) is punishable by one year of incarceration. The new law would allow for expungement of convictions for offenses such as possession of drugs, possession of drug paraphernalia, DUI, retail theft, disorderly conduct, harassment, defiant trespass and many other low-level non-violent crimes. An offense which requires registration of sexual offenders. While this is not the law yet, please keep a close eye on this page as I will be updating with any new announcements about this proposed bill. 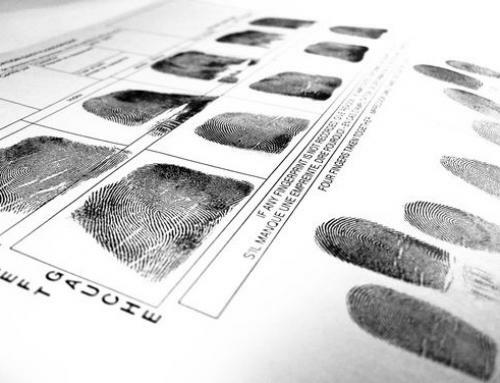 In the meantime, if you were arrested for any summary, misdemeanor or felony and were not convicted, you are likely eligible for an expungement of that offense despite the fact that it sits on your criminal record. Many think that a non-conviction automatically disappears off of their record when they leave the courtroom after a dismissal, a withdraw or a “not guilty” verdict. They are wrong. You must file a petition to have these matter expunged off of your record. If you believe that you are currently eligible for an expungement, please contact Philadelphia criminal defense attorney Brian M. Fishman immediately for a free consultation. In moments, I can tell you over the phone whether you are eligible for expungement of your criminal record.